About ten years ago the Wascana Rehab Centre in Regina Saskatchewan was the venue for a Pain Science and Recovery course. Norma Doerksen, attended. Like many who come to these courses Norma was already an experienced clinician. She had chosen to focus on helping people with one of the most horrible and undertreated problems – chronic pain. During the training we covered the current state of pain research, discussed Moseley’s research in pain education along with Moseley and Butler’s Explain Pain book. We then shifted to how pain changes people before concluding with some techniques based on all this evidence that we as health professionals could consider within our practices – ideas beyond what we learned in school to help people in pain. I remember a few key things about the training. • The winter weather was as expected for the Canadian prairies. • There was a participant who did not do well sitting in the role of student for 2 days. He challenged my facilitation skills. • I was beginning to gain a clearer understanding of the reality that body image and body awareness distortions could be assessed and treated. • Many of the professionals at Wascana were very keen to create more consistent language among their team using the information we discussed. • They invited me back to teach again when it was warmer! Shift forward in time to 2016 – Explaining Pain had still not made it solidly or sometimes at all into the educational curriculae of health professionals. Yet Wascana and Norma, and Lorimer and David continued to change and improve the lives of many. A patient of Norma’s contacted me by email. Ross McCreery has complex regional pain syndrome, and had heard me speak a decade before. Ross told me that he had successfully petitioned the Saskatchewan provincial government to make November 2nd an awareness day for Complex Regional Pain Syndrome and that he hoped I would come to Regina to provide an update on CRPS at Wascana Rehab. I was happy to help, and happier it was not in the winter. While I was there, Norma gave me the pleasure of picking me up from my hotel while also making certain I had a coffee for the morning. Not only that, she showed me her office and treatment space. Imagine a room that at first strikes you as cluttered, yet the space exudes a sense of warmth, safety and acceptance. Imagine a treatment room with walls covered by diagrams and posters about pain care. The most valuable of these are not the shiny new ones but the artistic interpretations created by her patients, showing their experiences of pain and the pain care we teach them. This was the kind of place any pain care practitioner would love to work. Imagine standing beside a compassionate caring gem like Norma as she explains how patients have shared their experiences with her. You would know in an instant that Norma’s success goes far beyond the science and any treatment innovations she learned during our courses. You would know that like most of us dedicated to pain care, our patients are our best teachers. Shift forward again to April 2017, when Ross contacted me again. This time the news he gave me made me pause. I somehow had not considered what happens when people like Norma retire? I was focusing on what a loss this would be, but Ross had emailed me for a different reason. He wanted a very special favour for Norma. “Could I ask THE David Butler to send her an email to congratulate her on her work and on retiring?” Ross understood that David is a busy guy, and that he had never met Norma, but Ross thought this would be a unique heart-felt gift for a woman who had helped him and others so much. Whether you are a clinician or a person in pain I hope you have been blessed to experience people like Ross, and Norma and David. I also hope you have experienced what I did when David responded. I could hear the smile in his written words as he let me know that he would be delighted. David loved the idea of recording a video message rather than sending a written one, and so one week later I passed on to Ross a short recording of David’s message. In it he suggested her treatment room might become a shrine, and congratulated her on her important work. You can imagine how wonderful Norma felt watching this. Now shift forward one last time, to now, a few weeks later, as I contemplate why I wanted to share this story. It’s not just that Norma, David and Ross are role models for us, each involved in this difficult and complex world of pain care. It’s not just about the importance of passing on Norma’s expertise and David’s brilliance. It’s more that I want to ‘sing the praises’ of people like David, and Norma, and Ross, and at the same time highlight that even when we feel alone in our struggles with pain and with helping people in pain, we are not at all alone. 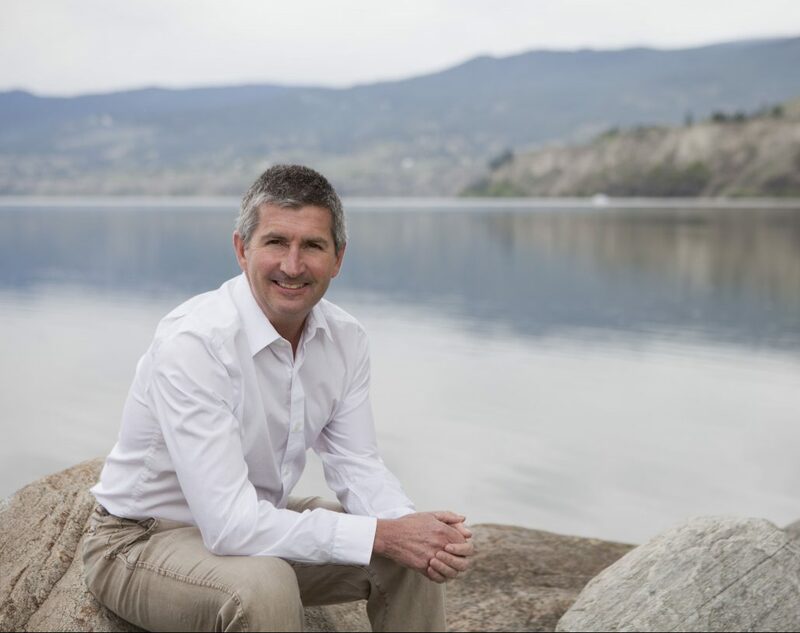 post script – The okanagan valley lost an amazing man and a compassionate MD recently. Dr. Bill Nelems, moved into pain management (and road cycling) after retiring as a thoracic surgeon. Bill will be missed by so many. Yet, he has left a huge legacy of warmth and wisdom in the many who experienced his caring hugs and expert pain care at the Okanagan Pain Intervention Clinic in Kelowna.